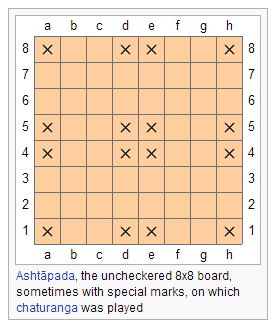 Chess - As you begin to love playing this online chess game, get a know-how of the history of the chess game. 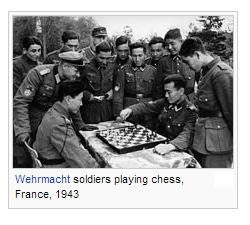 Chess is believed to have originated in northwest India during the Gupta empire, where its early form in the 6th century was known as chaturanga (Sanskrit: four divisions [of the military] – infantry, cavalry, elephants, and chariotry, represented by the pieces that would evolve into the modern pawn, knight, bishop, and rook, respectively). According to both chess historians Gerhard Josten and Isaak Linder "the early beginnings" of chess can be traced back to the Kushan Empire in Ancient Afghanistan (G. Josten, "Chess – a living fossil"). 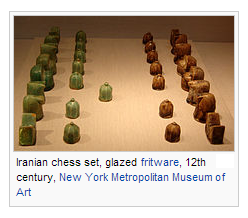 The earliest evidence of chess is found in the neighboring Sassanid Persia around 600, where the game came to be known by the name chatrang. Chatrang is evoked in three epic romances written in Pahlavi (Middle Persian). Chatrang was taken up by the Muslim world after the Islamic conquest of Persia (633–44), where it was then named shatranj, with the pieces largely retaining their Persian names. 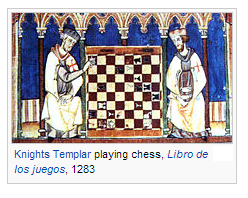 In Spanish "shatranj" was rendered as ajedrez ("al-shatranj"), in Portuguese as xadrez, and in Greek (zatrikion, which comes directly from the Persian chatrang), but in the rest of Europe it was replaced by versions of the Persian shah ("king"), which was familiar as an exclamation and became the English words "check" and "chess". Murray theorized that Muslim traders came to European seaports with ornamental chess kings as curios before they brought the game of chess. Karpov defended his title twice against Viktor Korchnoi and dominated the 1970s and early 1980s with a string of tournament successes. Karpov's reign finally ended in 1985 at the hands of Garry Kasparov, another Soviet player from Baku, Azerbaijan. Kasparov and Karpov contested five world title matches between 1984 and 1990; Karpov never won his title back. In 1993, Garry Kasparov and Nigel Short broke with FIDE to organize their own match for the title and formed a competing Professional Chess Association (PCA). From then until 2006, there were two simultaneous World Champions and World Championships: the PCA or Classical champion extending the Steinitzian tradition in which the current champion plays a challenger in a series of many games, and the other following FIDE's new format of many players competing in a tournament to determine the champion. Kasparov lost his Classical title in 2000 to Vladimir Kramnik of Russia. The World Chess Championship 2006, in which Kramnik beat the FIDE World Champion Veselin Topalov, reunified the titles and made Kramnik the undisputed World Chess Champion. In September 2007, he lost the title to Viswanathan Anand of India, who won the championship tournament in Mexico City. Anand defended his title in the revenge match of 2008.